A cynical, disabled film director with borderline personality disorder gets recruited to join a secret organization that oversees relations between Hollywood and Fairyland in this Nebula Award–nominated and Tiptree Award Honor Book that’s the first novel in a new urban fantasy series from debut author Mishell Baker. 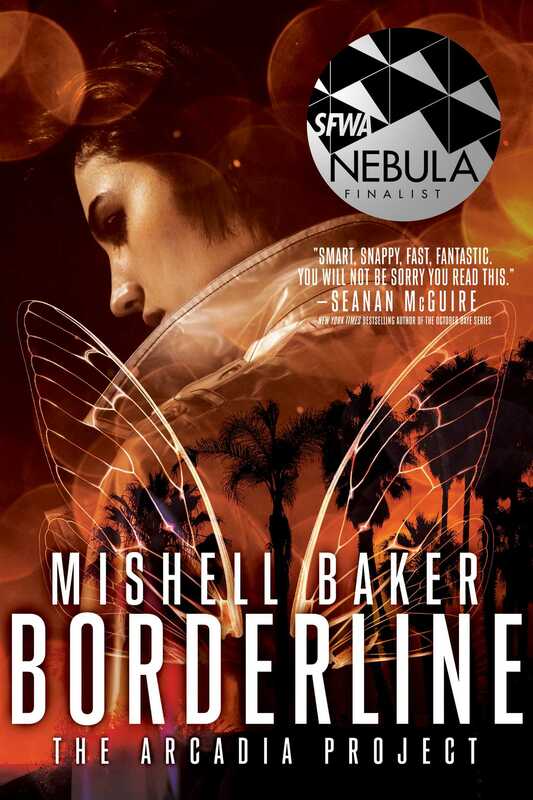 Mishell Baker is the author of the Nebula and World Fantasy Award Finalist Borderline, which was also a Tiptree Honor book, as well as the second and third books in The Arcadia Project, Phantom Pains and Impostor Syndrome. 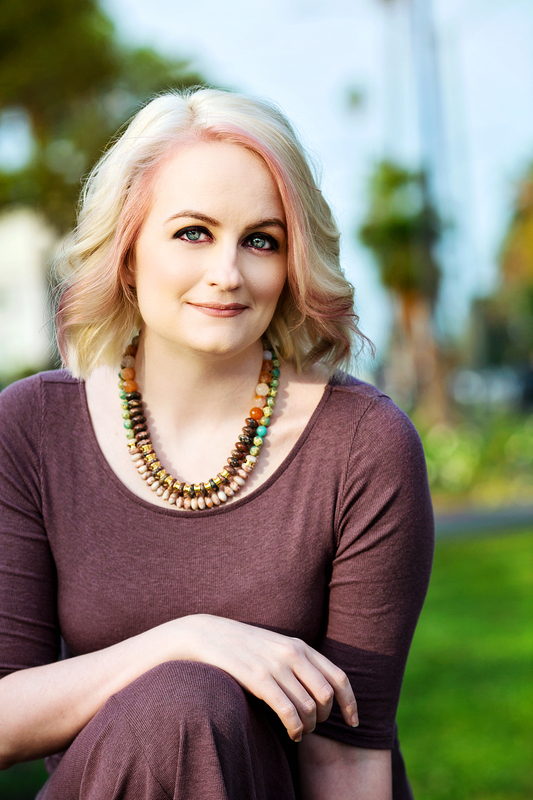 She is a 2009 graduate of the Clarion Science Fiction and Fantasy Writers’ Workshop, and her short stories have appeared in Daily Science Fiction, Beneath Ceaseless Skies, Redstone Science Fiction, and Electric Velocipede. She has a website at MishellBaker.com and frequently Tweets about writing, parenthood, mental health, and assorted geekery at @MishellBaker. When she’s not attending conventions or going on wild research adventures, she lives in Los Angeles with her husband and children. "Borderline is worldbuilding at its most original...I loved this book." "Smart, snappy, fast, fantastic. You will not be sorry you read this." "A fast-paced story of high costs laced with humor that goes from light-hearted to scathing with the flip of a coin...navigates the borderlands of friendship and enmity, trust and betrayal, with shrewd and unrelenting grace." * "Fully articulated, flawed, and fascinating characters combine with masterly urban fantasy storytelling in Baker’s debut novel... [a] beautifully written story that is one part mystery, one part fantasy, and wholly engrossing." * "Baker’s debut takes gritty urban fantasy in a new direction with flawed characters, painful life lessons, and not a small amount of humor." "An enjoyable fantasy mystery that tackles physical disability and mental illness without sacrificing diverting, fast-paced storytelling." "Baker’s consistent, caring integration of the realities of disability into the narrative, makes Borderline one of the most purely respectful portrayals of people with disabilities that I’ve ever had the pleasure of reading, and that in turn makes it an excellent launch to a very promising urban fantasy series." "Baker has crafted a swift, delightful, and complex beginning to your next favorite urban fantasy series, very nearly redefining the genre along the way...an unabashed pleasure cruise, filled to the brim with snappy dialogue, smart character choices, behind-the-scenes Hollywood shenanigans, and delightful fish-out-of-water moments." "Mishell Baker’s new Arcadia Project series is off to a thrilling and glamorous start with Borderline...Baker has given her audience urban fantasy at its finest—visceral and real in its sense of space, and dancing on the uncanny edges of our vision...Borderline is dark and creeping and smart as a whip." "Borderline [is] a strange, fast-paced, and surprisingly dark tale about magic, madness and mystique...Despite the engaging plot, Millie’s character, and the complexities in the characters around her made the book a real page-turner for me...Immensely riveting, with unexpected influxes of depth." "Urban fantasy series often live of die on the strength of their protagonist, and by that measure, Mishell Baker has written one of the greats...Baker spins a fast-moving fantasy yarn while crafting fully formed characters, showing great compassion in her depiction of mental illness and alienation." "Boasting a truly unique heroine whose flaws only make her more compelling, Baker’s debut is an exciting entry into an imaginative new world"
"A smart, witty, and engrossing book that made me laugh-out-loud and hold my breath as I fell under its spell...Baker is on par with Elmore Leonard when it comes to mastery in the art of dialogue." "An absolutely incredible, engaging, fun piece of speculative fiction." "A quick-paced, engrossing read with a surprisingly genuine and realistic portrayal of mental illness and physical disability...successfully balances darkness, humor and wit, set against a creatively imagined world...Readers will be left excited for more." "Shrewd, sharp and full of fiercely graceful writing."